Pomegranate has a high concentration of antioxidants, polyphenols and vitamin C.
It can decelerate or can prevent the accumulation of plaque in arteries. Pomegranate juice can be lethal when taken with few certain medications. With high concentration of antioxidants, polyphenols and vitamin C, pomegranate is one the most nutritional fruits. As per some researchers, it can decelerate or can even prevent the accumulation of plaque in arteries but there is no solid evidence that it can clear your arteries. Also there are few evidences that pomegranate juice can be lethal when taken with certain medications. So, when next time you want to have pomegranate fruit or pomegranate juice to cleanse your arteries, consult your doctor. There are studies conducted where researchers have analyzed the effects of pomegranate fruit and pomegranate juice on samples of human cells line of the blood vessels, the lining wall of arteries. As per the studies, the cells were exposed to physical stress, the stress that might be a secondary cause of high blood pressure. Later on the study suggests that the cells that were treated with pomegranate had lesser signs of damage from the stress. Further, the tests on lab rats showed that pomegranate juice considerably decelerate the solidification of the arteries that is caused because of high cholesterol. Yes, high cholesterol is one of the reasons of arteries to get clogged with plaque and pomegranate is one of the most effective artery cleansing foods. 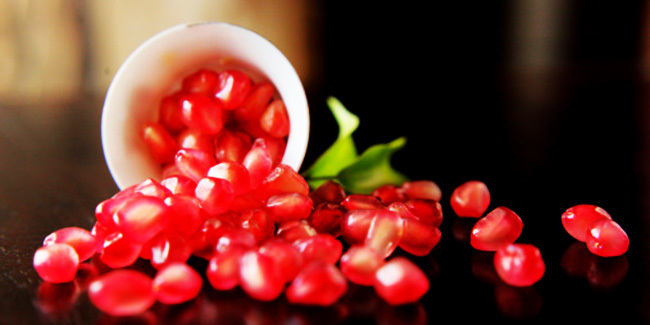 Along with cleaning your arteries, pomegranate fruits can prevent and treat heart diseases. The studies show that the effects of stress on human blood vessels can be minimized by pomegranate juice as it stimulates the production of nitric oxide. Researchers believe that this chemical can keep the arteries clear and allow easy blood flow. This is why pomegranate is an ideal food to clean arteries. 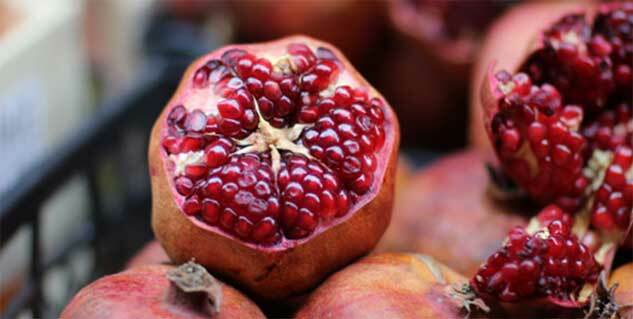 As per researchers, pomegranate is abundant with antioxidant content, which slows down the hardening of arteries. The studies reveal that the level of antioxidant in pomegranate juice is way higher than any other fruit, like cranberry, blueberry, orange and so on.